We provide a wide array of electronic resources to teachers. These include video interviews with published authors, audio and video read-alouds, sample units of study, mini-lesson ideas, book lists, demonstrations of excellent teaching and much, much more! Written by Indianapolis Public Schools Center for inquiry teachers, “Digital Portfolios” embeds the journalistic experiences provided by City Stories into a writing workshop curriculum and reflects the central tenets of workshop teaching that are elaborated in this unit of study. 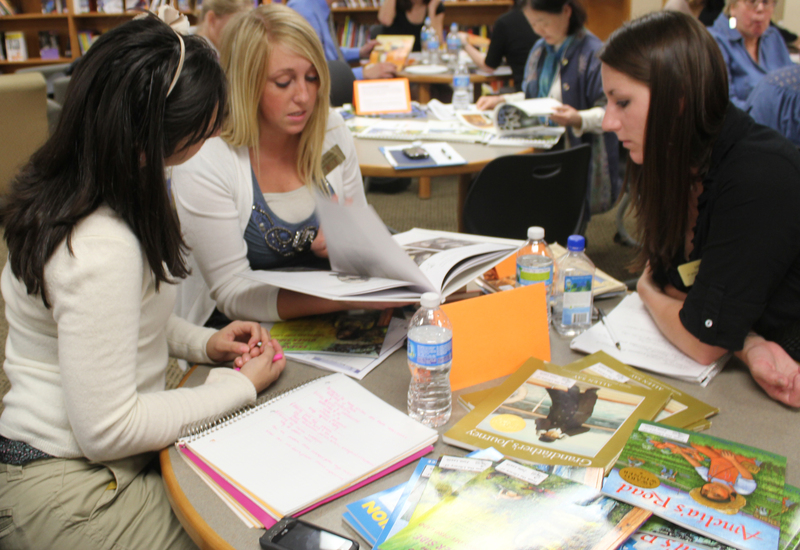 We offer the following publications to support reading workshop teachers. All are available for use in your in-house professional development settings and can also be shared with parents and families. Poetry is one of many genre studies that might take place throughout the school year. Here we present one possible poetry unit, though there are many ways you might wish to vary the unit to address the specific needs and talents of the students in your classroom. A Writerly Life unit is often used to launch writing workshop at the beginning of a school year, though it can also appear elsewhere in the year-long curriculum. Included in this module you will find video resources, sample lesson plans, sample mini-lessons, and other handouts that will support you in creating and teaching a Writerly Life unit for your own classroom. As the fastest growing genre of the 21st century, memoir is important for students to study during writer's workshop in the upper elementary grades. Because every memoir includes a reflection on the writer's life, moving through this study helps students learn about each other and strengthens your classroom community.